#1 Most people know that Leonardo da Vinci painted the Mona Lisa, but up to this day the model herself remains a mystery. Some even say the painting is a female representation of Da Vinci himself. The most popular theory is that the lady in the painting is Lisa Gherardini, born in 1479. Why Da Vinci chose her is still a mystery. 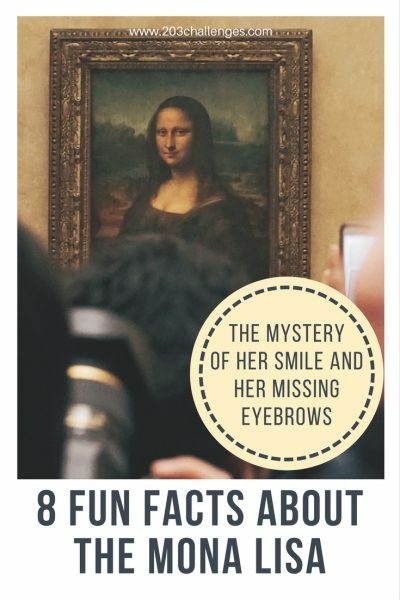 #2 Have you noticed that the Mona Lisa has no eyebrows? One theory posits that some craftsmen made a mistake while restoring the painting and accidentally ‘erased’ her eyebrows. Another version of events suggests that Da Vinci never finished the painting (many of his paintings remained unfinished). #3 In 1911, the painting was stolen from the Louvre, in broad daylight, by a museum employee. It was returned two years later. 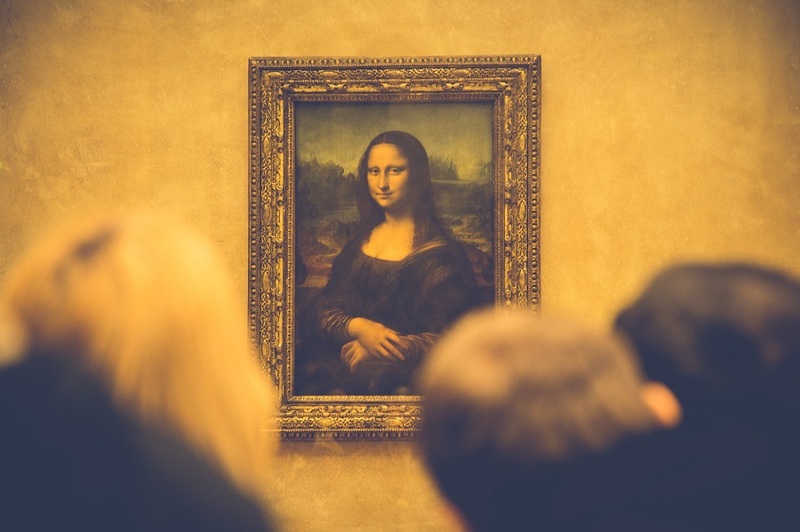 #4 That theft explains why the Mona Lisa is now displayed in the Louvre in a purpose-built, climate-controlled enclosure behind bulletproof glass. The room’s construction cost $7 million. #5 The painting can’t be insured against theft as it is considered to be priceless, and therefore impossible to insure. #6 The painting has been vandalized numerous times. In 1956, it happened twice – once when acid was poured on it, and the second time when a man threw a rock at it, in the process damaging the paint on the Mona Lisa’s left elbow (later painted over). In recent years, glass has been thrown at it and red paint has been sprayed on it… although fortunately the painting’s bulletproof glass covering proved its worth and the masterpiece was not harmed in either incident. #7 The Mona Lisa is actually much smaller than you might expect before seeing it in person – 77 x 53 cm (30 x 21 in), to be exact. #8 The painting’s name is almost certainly the result of a typo. Instead of the Mona Lisa, it was supposed to be named the Monna Lisa (Monna being the Italian shortening of ‘Madonna’ or ‘Our Lady’). The painting is located on the first floor of the Louvre, in Denon wing, Room 6. Discover more unusual attractions and creative travel challenges in Paris.